Invest in yourself and make sure your resume is as exemplary as possible. At EmploymentClinic.com, we know that your future is worth it. The ResumeClinic.com is the resume preparation division of LDA Enterprises, Ltd. Founded in 1980, our company has developed a well-deserved reputation for producing highly effective door opening resumes and motivational letters for the discriminating professional who demands exceptional quality. If your current resume is not generating interviews, we can help. Our fees may be a little higher than other resume services, but this is because we invest the time and effort necessary to produce the best possible presentation of your skills and background. We also include value-added features not offered by other resume services. Don't compromise quality by buying a mediocre economy priced product. Your future is too important. Remember that you usually get what you pay for. All of our products are individually created based upon information gained from our clients and are not based on a standardized format or template. It is critical that the resume correctly reflects the strength of your career and professional achievements as well as your most attractive personal attributes. Our products are designed to stimulate the reader to action by communicating a concise, compelling, and motivating picture of the value you offer their organization. Please see our policies and stipulations following the description of product services. All fees are paid as retainers at the time service is initiated. We accept payment by check, Visa, MasterCard, or American Express. 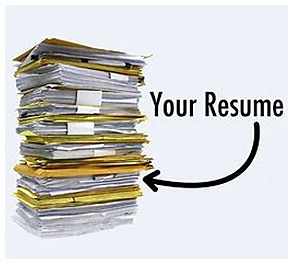 Click here for our Resume Services Order Form today.